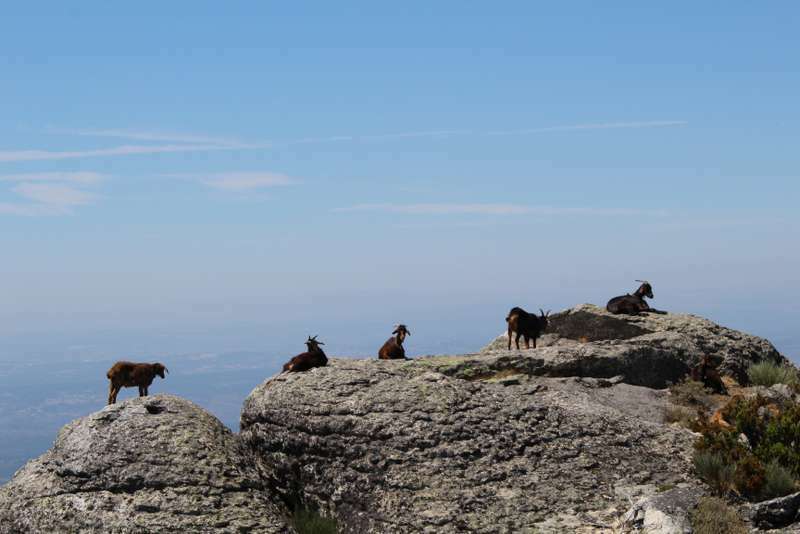 Edwina Pitcher, author of Wild Guide Portugal, gave a talk at Stanfords Travel Bookshop last week in Covent Garden, where she shared some of her favourite, and less expected, wild places from that beautiful country. This type of wolf trap exists only in the Iberian Peninsular. 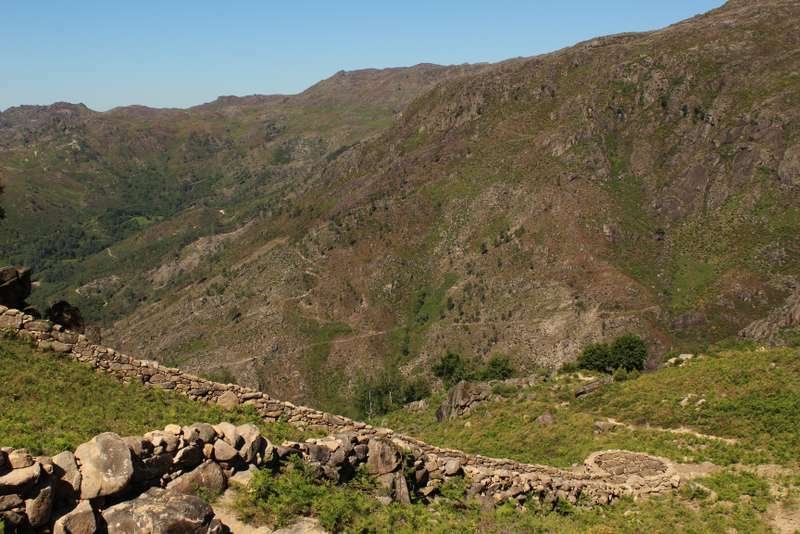 Deep in the wild hills of the Gerês National Park to the north of Portugal, two tall converging dry stone walls run down the hill meeting in a pit below. Beaters would drive the wolf towards the pit. Eerily quiet here, it remains a morbid reminder of the wolf’s endangered status. With their crucifixes dramatically facing the hills, this strange granite army resembles nothing more than the sarcophagi of a forgotten ancient hill tribe. 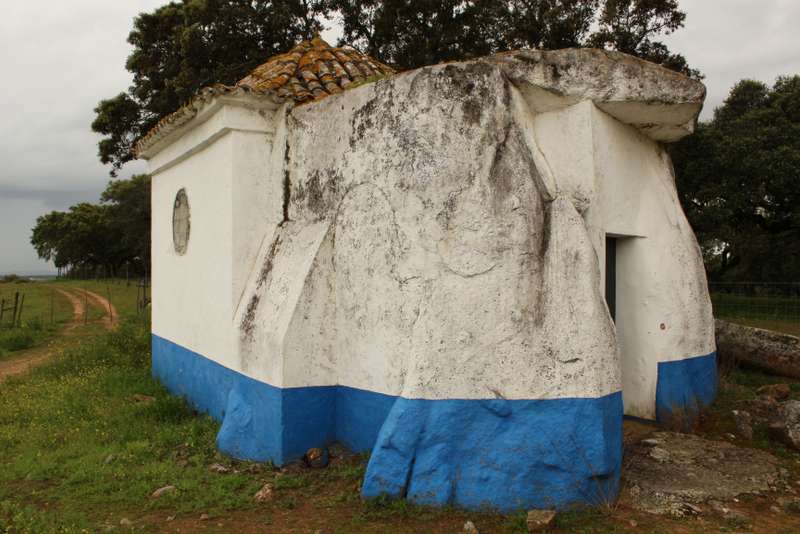 In fact these are several corn-houses used for keeping grain off the damp ground, known as espigueiros they stand on a huge rock just outside the mountain village of Soajo. 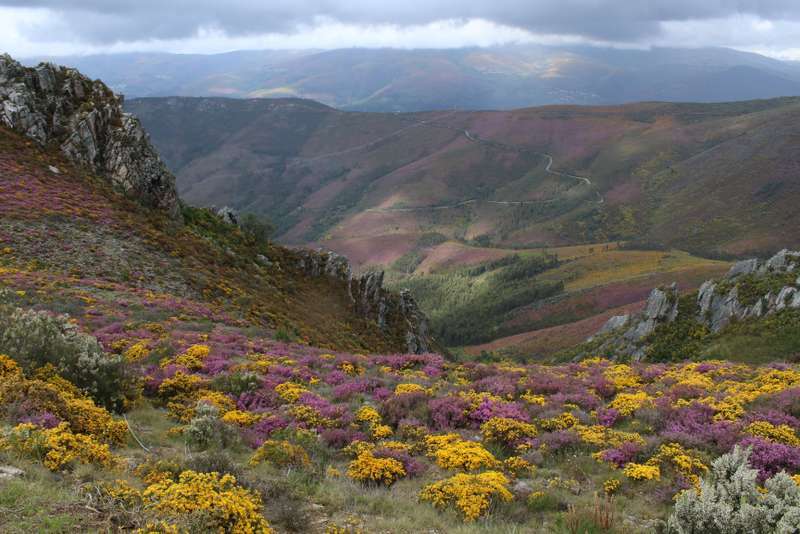 These wild hills, carpeted in purple heather and yellow gorse flower come Spring, are in central Portugal and form part of the Arouca Geopark. There are walking routes leading past mystical mountain chapels, ancient fossils, secret mining tunnels and dramatic waterfalls. This river beach is in one of the most watery districts of Portugal. 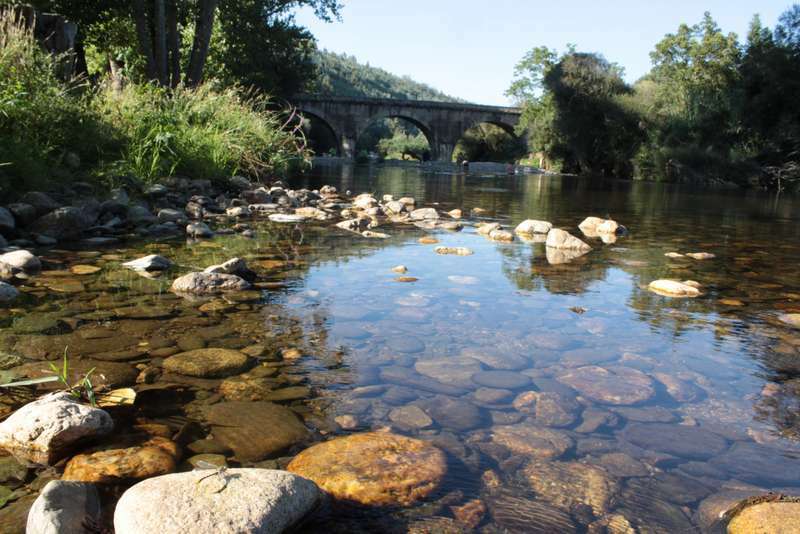 The Alva river curves through central Portugal with many places of a river dip. At this river beach there are grassy banks and a boardwalk out to a picnic island. There is also a working watermill under the bridge. 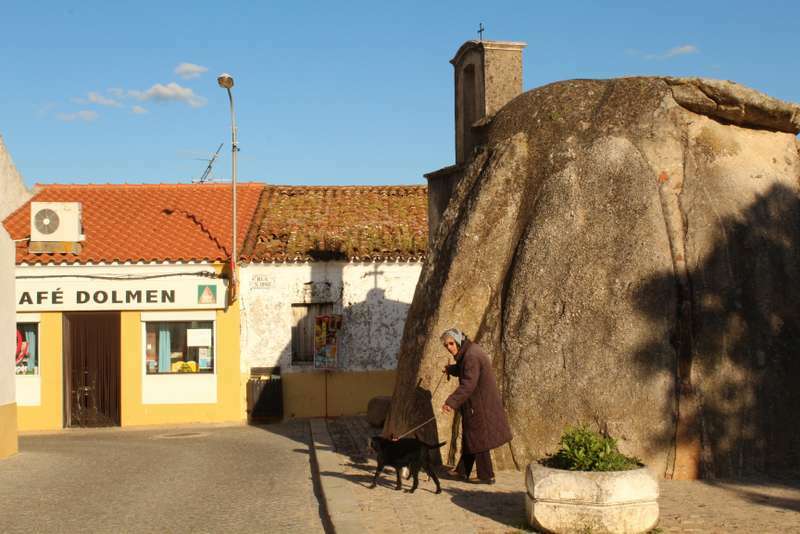 Alentejo is the largest region of Portugal and home to the densest collection of Megalithic sites in Iberia. 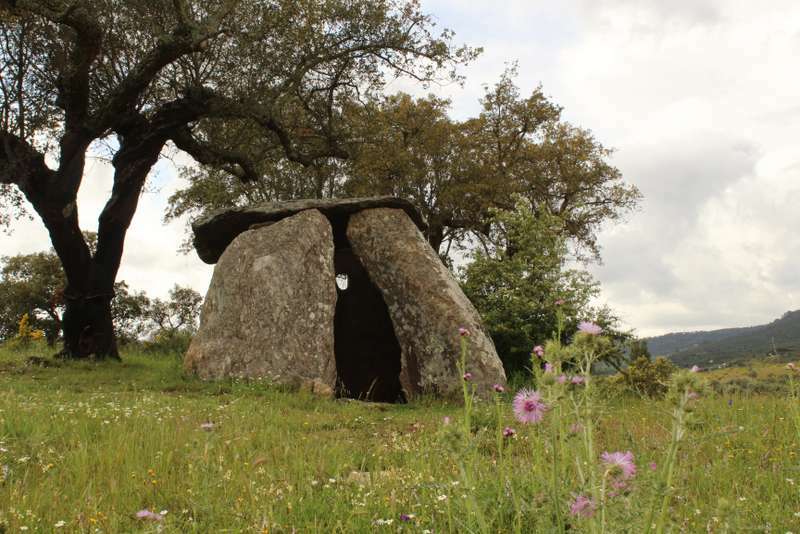 There are hundreds of dolmens, known as antas, which are ancient burial structures, about 5,000 years old. Remains of necklaces, pots and weapons have been found buried at these stones. 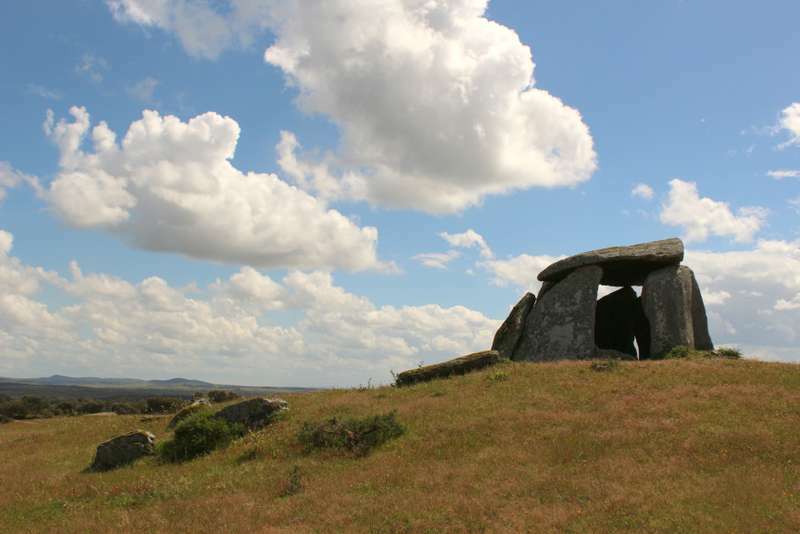 These were places where the living came to be materially connected with the dead and, in a sense, this purpose persists as the stones call out to be touched even today. 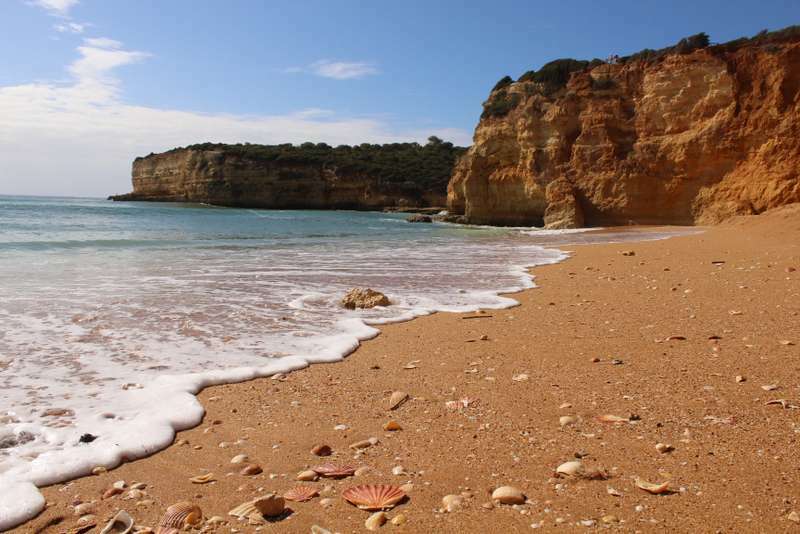 This is the quintessential Algarve beach, its sandy shore is strewn with many beautiful shells. There is a windswept chapel on a promontory above and the whole beach is sheltered by great sandstone cliffs. 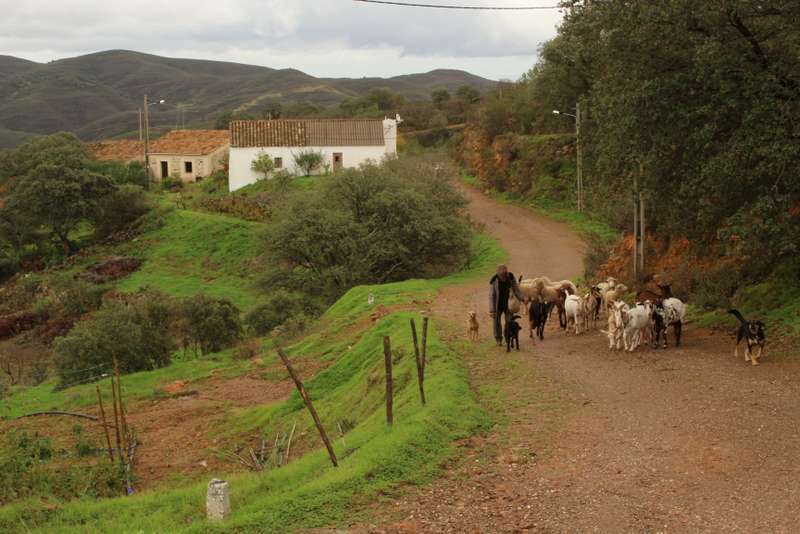 Drive just 40mins inland in the Algarve to discover a timeless rural heritage. 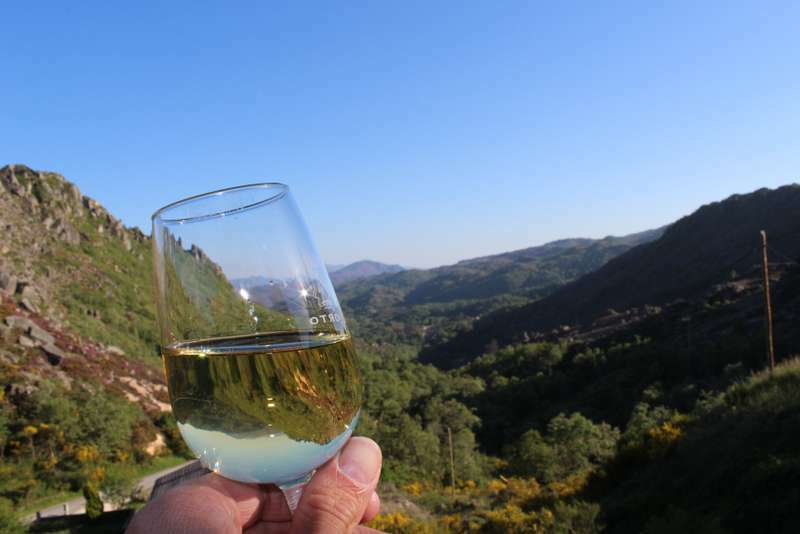 Beyond the Loulé mountains, deep in Serra da Caldeirão is Beliche en Cima, a perfect example of a typical Algarve farming villages. From Tavira take the N397 north for 20km. Turn onto the M506 after Portela de Corcha and follow for 4.5km. After my pilgrimage, I returned time and again to Portugal to make this book. 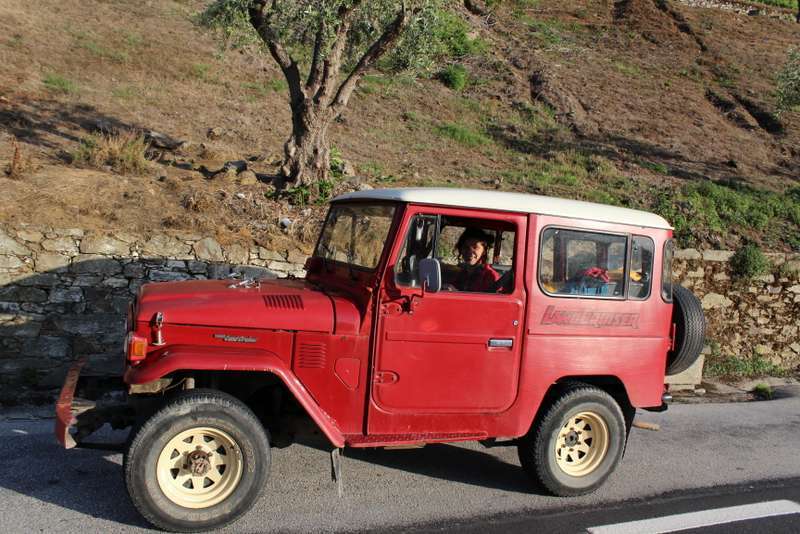 The journey continued with each month-long journey I made with Diana Matoso and her grandfather’s jeep. 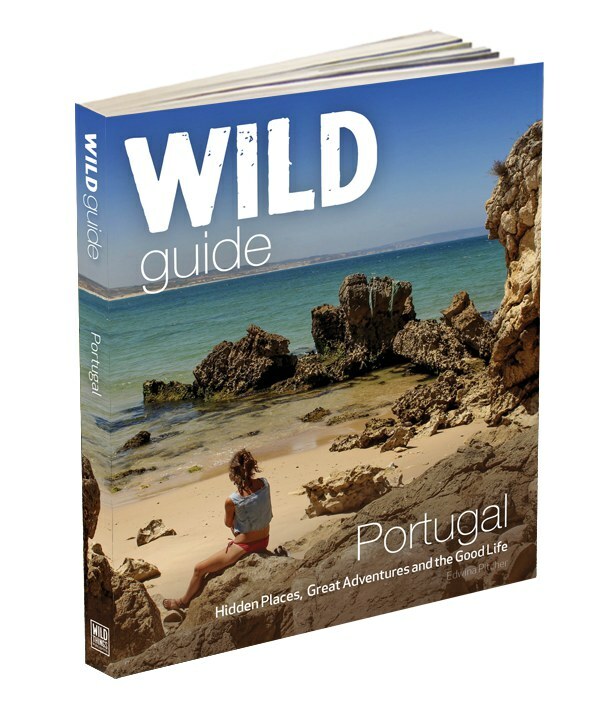 Diana is Portuguese, with a great knowledge of Portugal’s wild places and an inexhaustible spirit of adventure, this book would not have been the same without her. I cannot tell you all of our adventures now – you’ll have to buy the book- but I can talk about three ways we connected with the natural world. 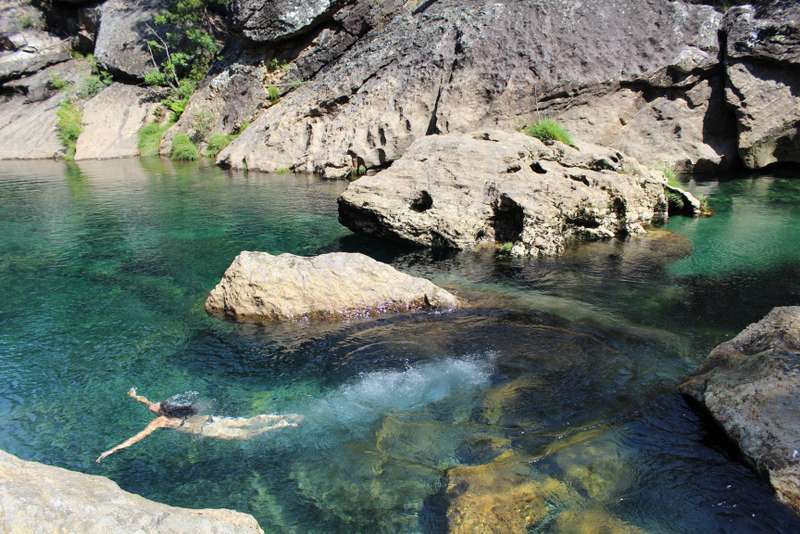 The first way was by wild-swimming, jumping into lakes and rivers across Portugal we fully immersed ourselves in its beauty. The second way was through its ancient history, soaking up glorious sunsets from lost ruins and wild hilltops. 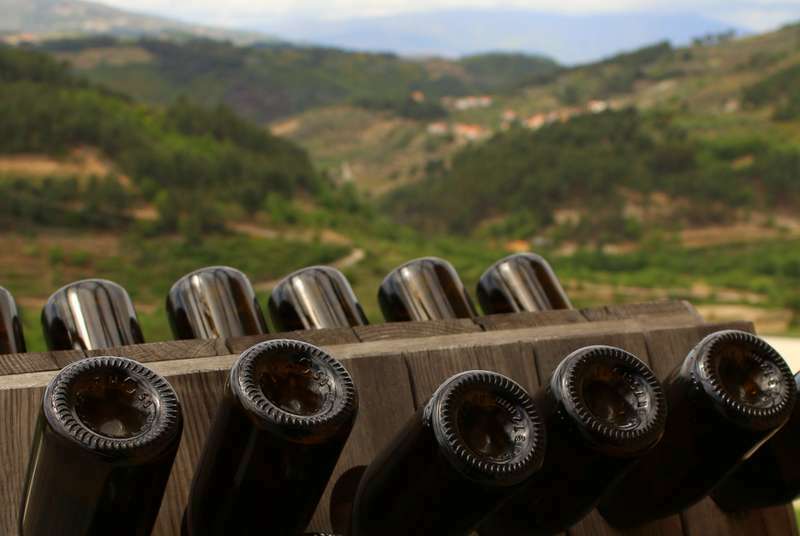 The third way was through Portugal’s festivities and food: rural villages are likely to have the best connection with local produce. 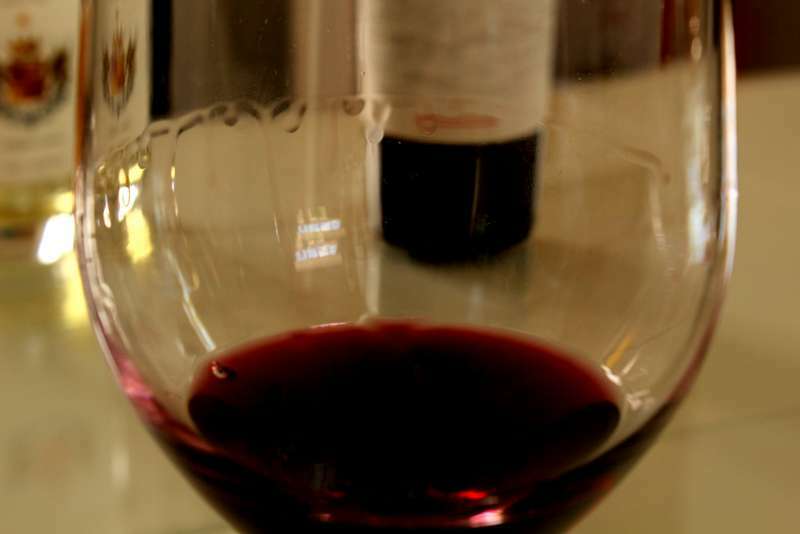 Local wines, rich regional stews and smoked meats are emblematic of how nature meets food. Fantastic ways to understand a rural place. This river beach hosts Portugal’s largest rock concert ever summer but the rest of the year the oasis is so tranquil that dragonflies alit on our shoulders as we swam. Many of Portugal’s river beaches are great places for a picnic- with communal bbq grills and several picnic tables this is often the place where locals gather to while away a Sunday afternoon. 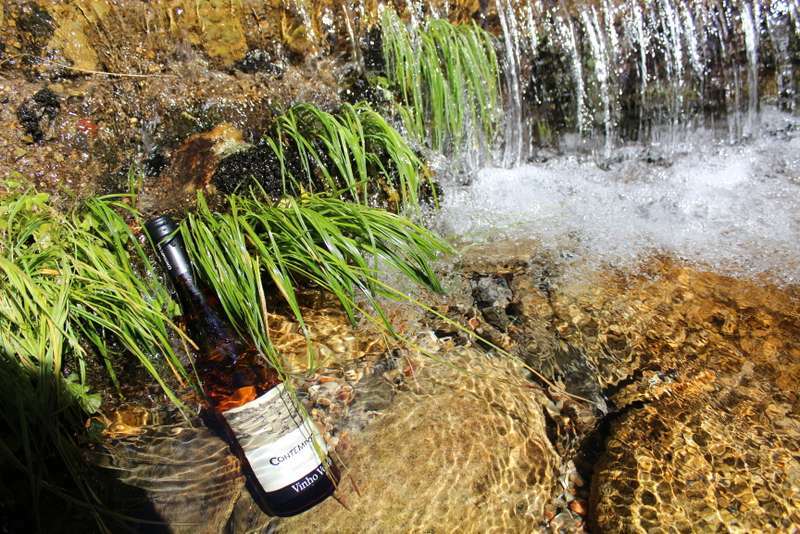 Chill a bottle of vinho verde between river stones, Portugal’s green young wine from the north, as you laze by the riverbank. 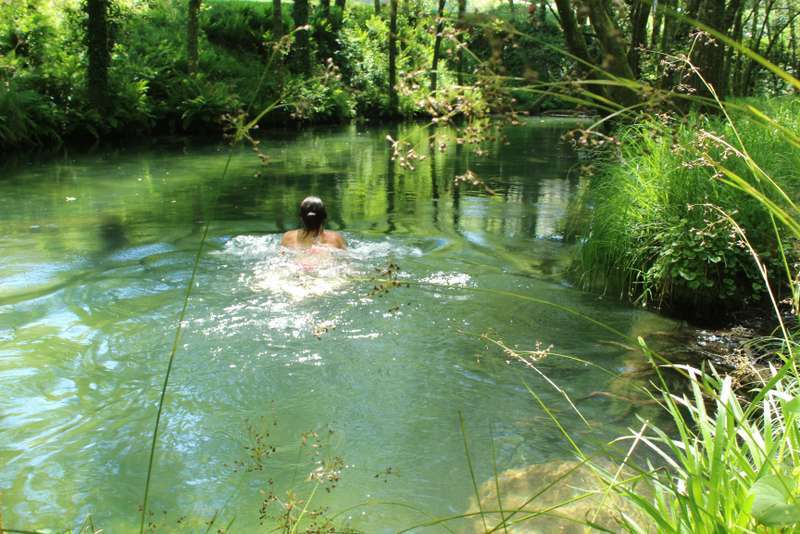 This was a thrilling swim in the north of Portugal. A scrabble down a steep stony track yielded this vast azure pool. The southwest coast of Portugal known as the Costa Vicentina has some of Portugal’s most secluded and secret beaches. 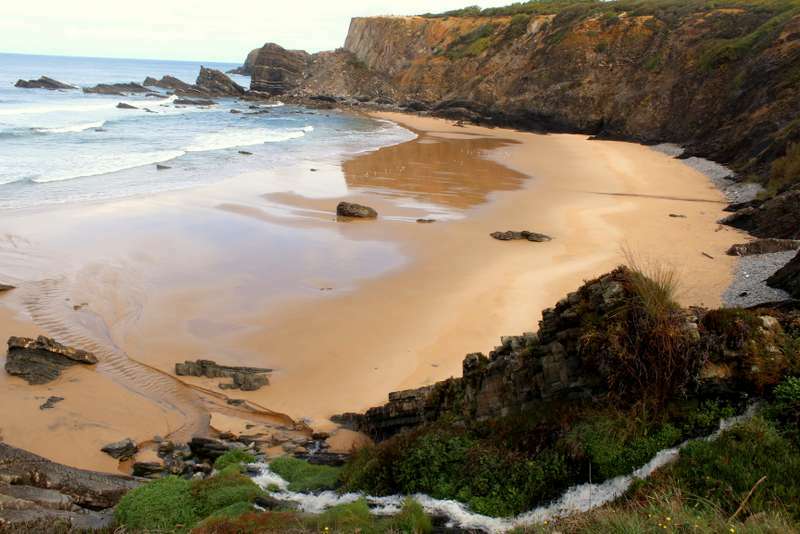 Follow the 400km walking trail known as the Rota Vicentina along fishermen’s’ paths and smugglers’ routes to discover secret beaches like this one: Praia da Amália. Amália Rodrigues was Portugal’s most famous Fado singer and in the 1950s, at the height of her fame, she would retreat to this beach. There is a fresh water cascade here and the beach is still relatively unknown. A magical place, just off the coast of Peniche, north of Lisbon. Take a fishing boat out here and the question at the harbour is inevitably, “Have you been to Earth today?” With the hundreds of seagulls wheeling and cawing overhead it certainly feels like another planet. 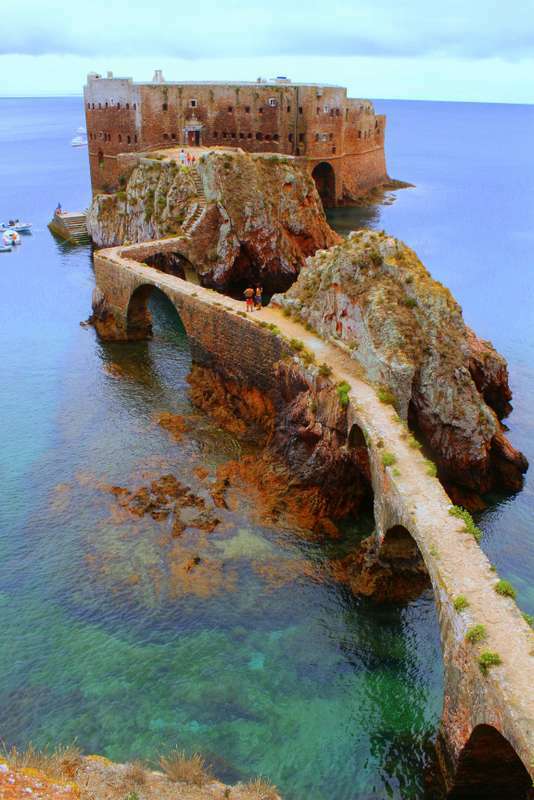 This 15th century monastery is surrounded by ancient wrecks, perfect for diving. We swam out to a secret cave, iridescent with sparkling stones and lit by the aquamarine water. Bring a snorkel to sea hundreds of colourful fish. A wind-torn track leads to this wild castle, a 9th century Galician stronghold turned Moorish castle. Now only the eagles visit and lizards scuttle underfoot. We felt on top of the world here as we caught the wind in our hair. Pitching up in the 17th walls of this border castle at Lindoso, the walls made great wind barriers. Although not strictly allowed, we pitched before dusk and left at dawn. Portugal has several campsites that make the experience of sleeping out under the stars all the more luxurious. Glamping in Lima Escape we had all the luxury of a five star hotel while waking to birdsong over the Lima river. The surrounding hills of the river Lima were so green and lush the invading Romans thought them to be Elysium, their heaven. They refused to cross the river Lima, believing it to be the river Lethe, river of forgetfulness in their underworld, until that is Brutus waded through and called each of their names, one by one, to prove his memory. 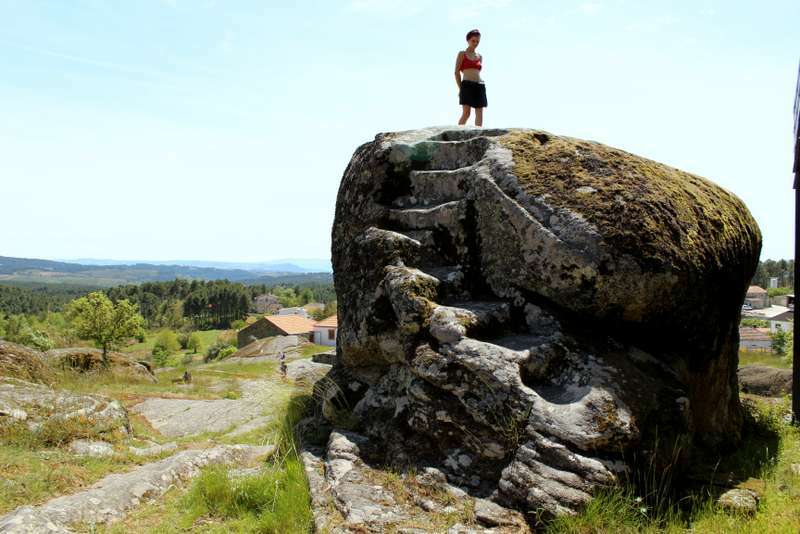 The landscape changes hugely in Castelo Branco district, in south central Portugal. At Monsanto castle we could survey all the Raiana flatlands until Spain. The Templar knights who built here clearly recognised its strategic location. The landscape was almost lunar, with great boulders scattered like marbles. 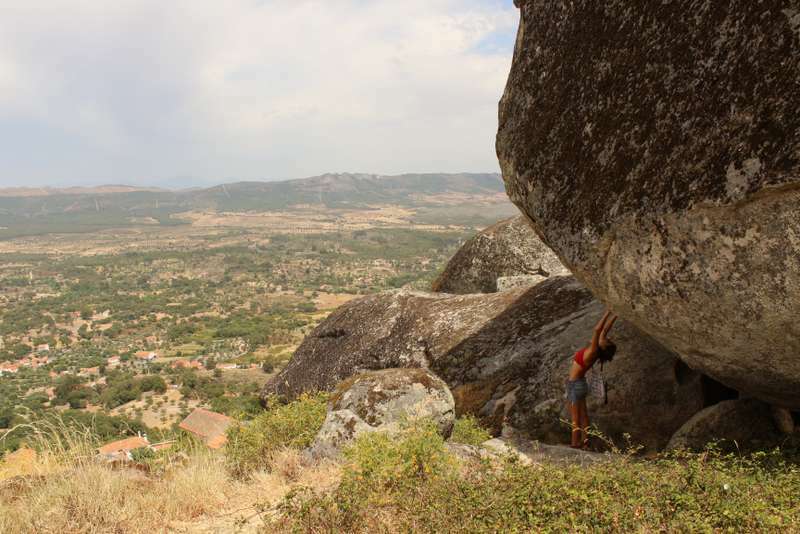 This photo of Diana doing some boulder-yoga gives you an idea of their scale. 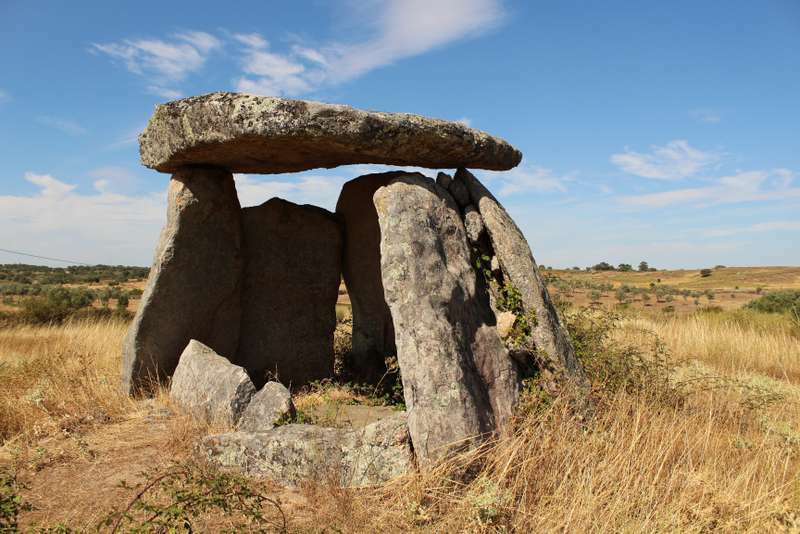 Santuário de Panóias – A sacred site and a 2nd century Roman temple to Serápis, the god of the underworld. 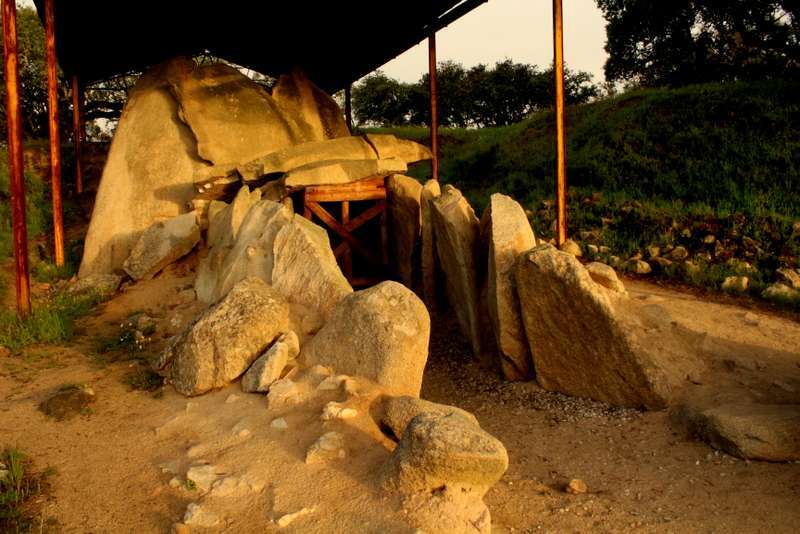 Although no human sacrifices were made here, you can still feel the energy and imagine the drumming and euphoria as the sun beats down on stone. I dropped my pen on top of this rock and it rolled perfectly down a carved blood channel. 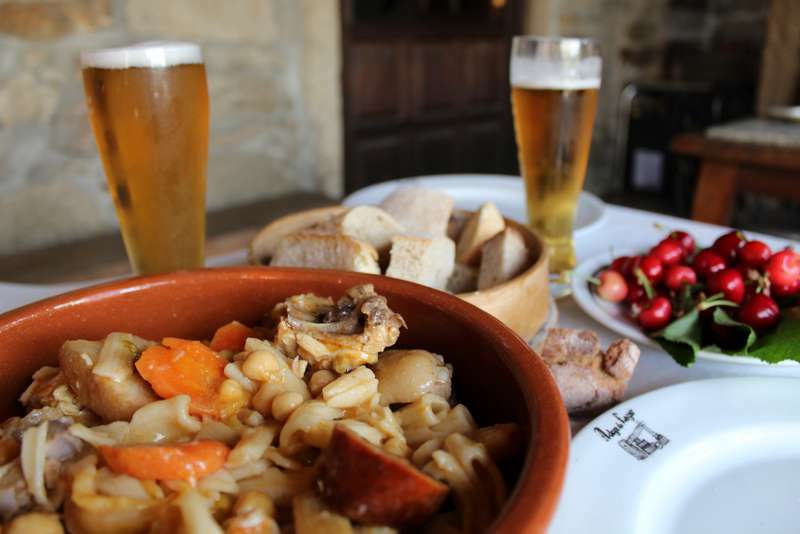 History is also kept alive through Portugal’s festivities and traditions- which takes me onto food, my final way to connect with the natural world. 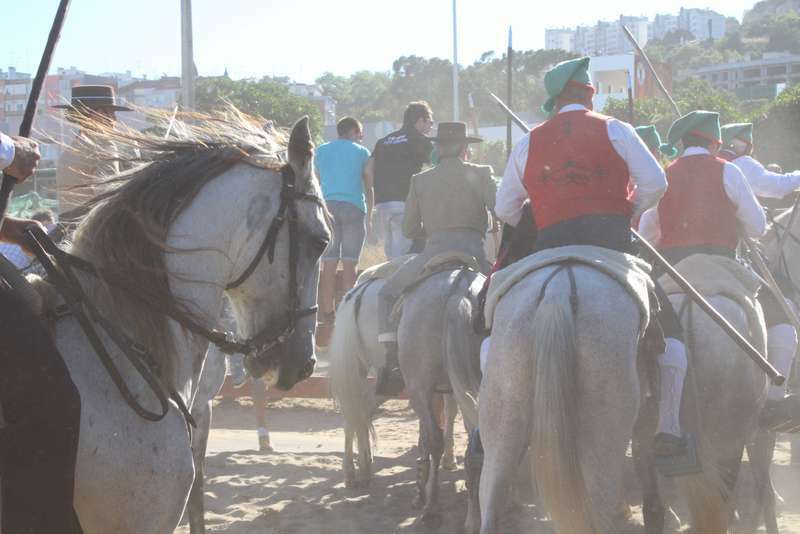 At Colete Encarnado, a horse festival in Vila Franca da Xira, the wild literally charges into town. 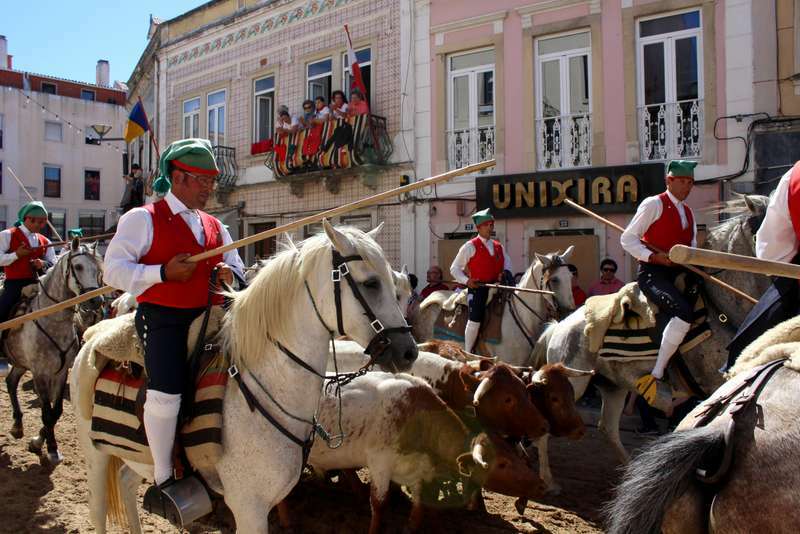 This is the region of the Lusitano horses and every year they celebrate their heritage and livestock with a great procession into town. 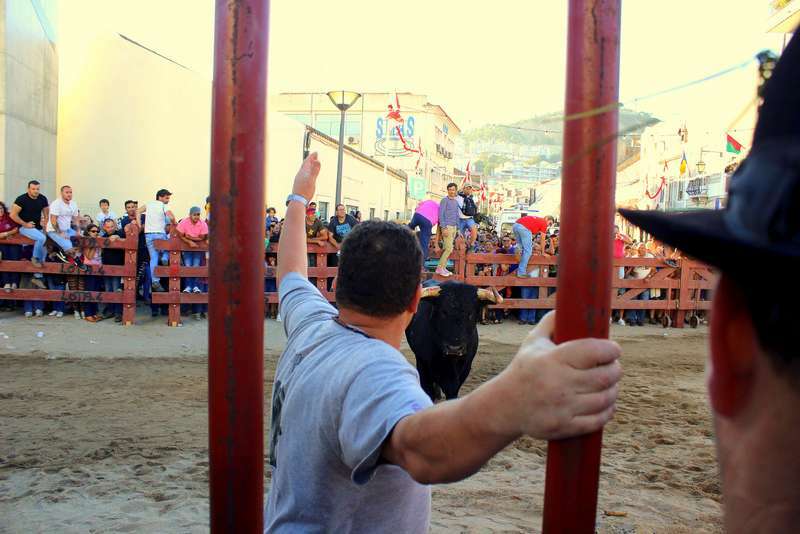 There is a bullfight too, every street is covered with sand and sawdust. Remember, if you are on sawdust then you are in the bullring. 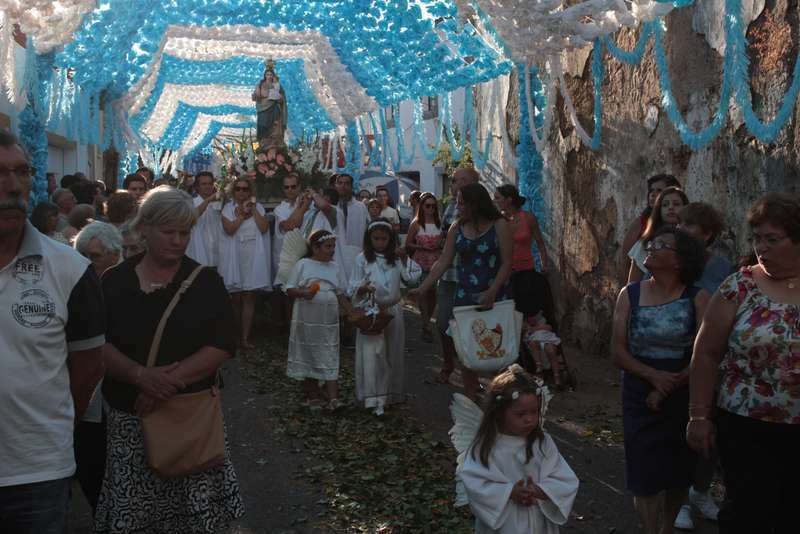 During Summer festas and festivals spring-up across Portugal’s rural villages like blossoming flowers. 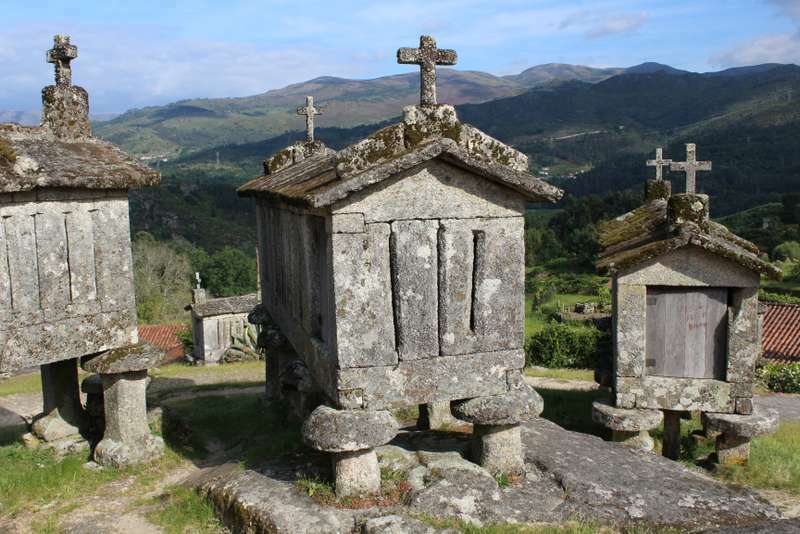 Visit Pereiro to see streets strewn with wild herbs and flowers in celebration. 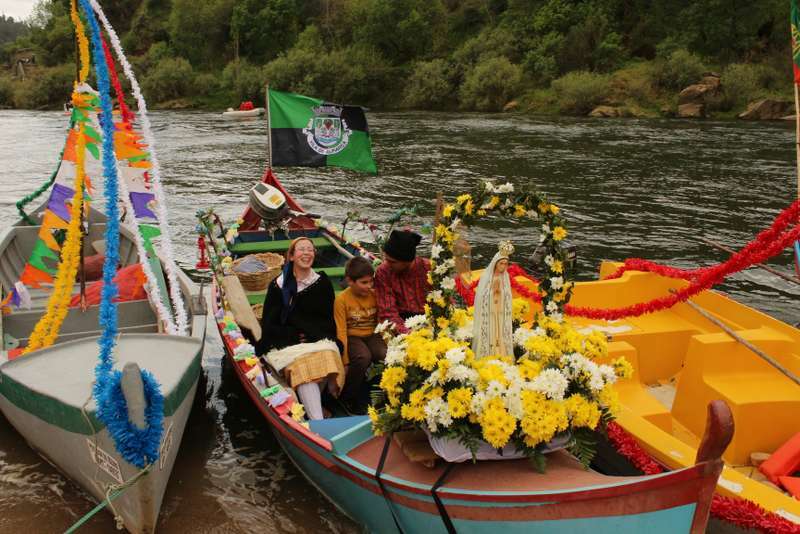 At Constância, an ancient fishing village along the Tejo, boats decked in flowers set sail only to return for a huge party with dancing late into the night. 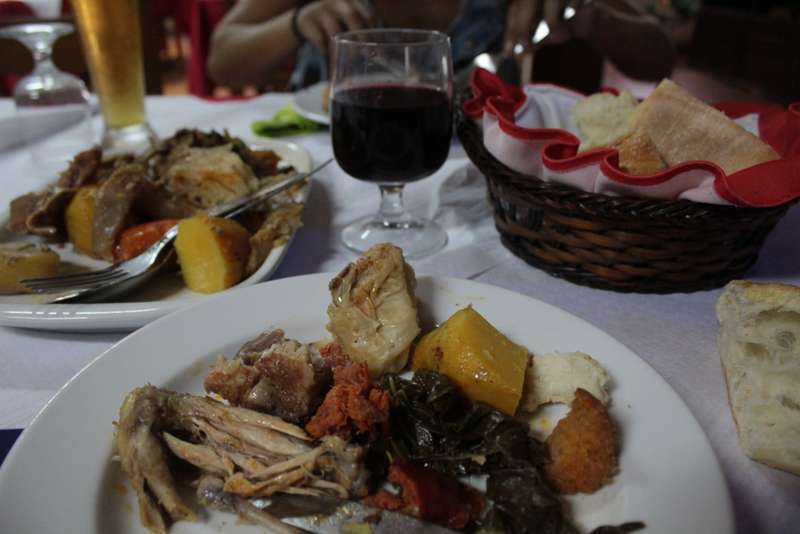 These festas are also some of the best places to try local food and regional wines. The mountain villages and rural inland communities of Portugal are the places to feast on smoked meats, blood sausages, cured hams known, as fumeiro. 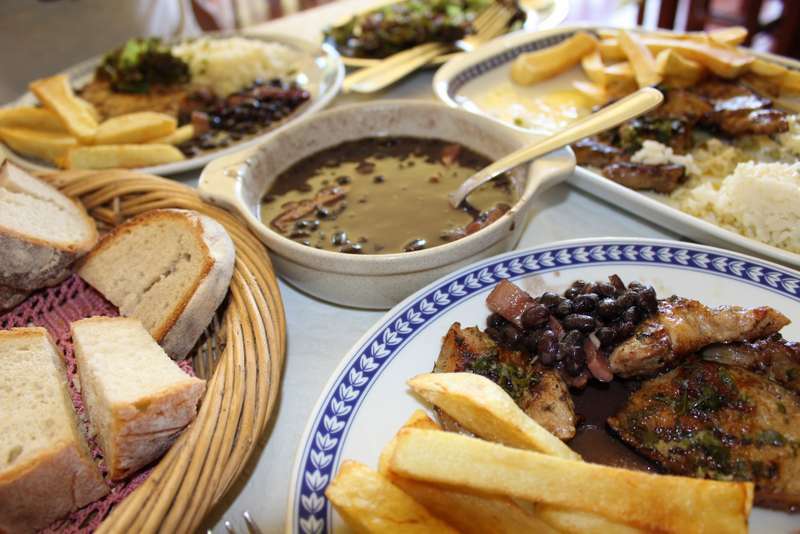 Or try hearty mountain stews like feijoada, a rich bean stew that will fuel a hike up the highest mountain. A family run restaurant with a wood oven and locally sourced meat, wine, vegetables and bread. 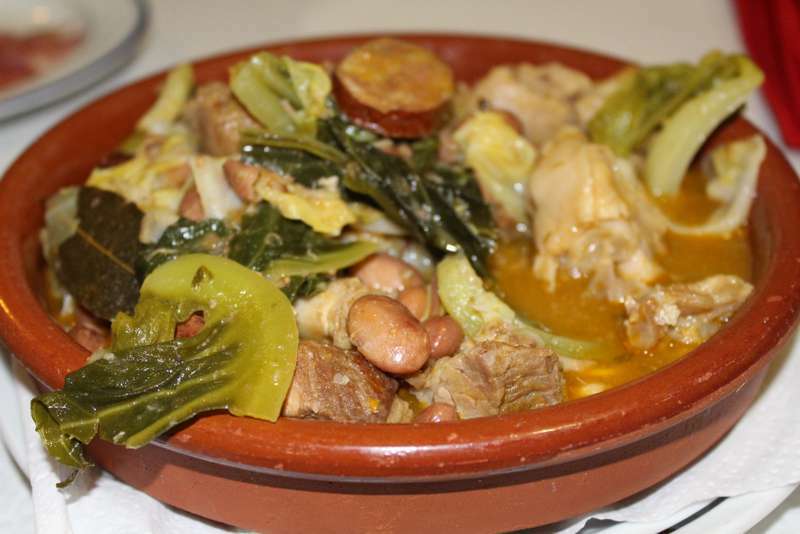 A typical hearty dish in Portugal – feijoada – bean stew made with pork shoulder and smoked sausages. Cabrito Assada a heavenly dish. 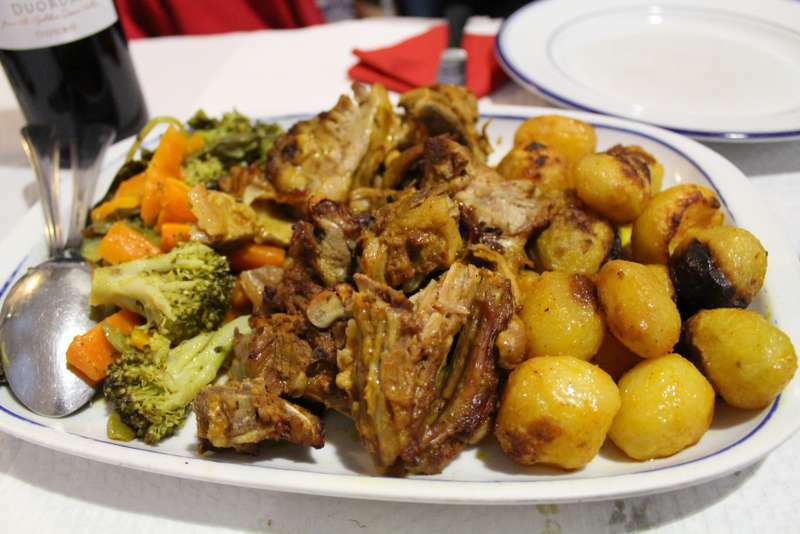 Roast goat made in a wood oven, this is a classic dish across all of inland Portugal. If nature gave Portugal great seasonal produce then it also gave the ovens in which to cook it. 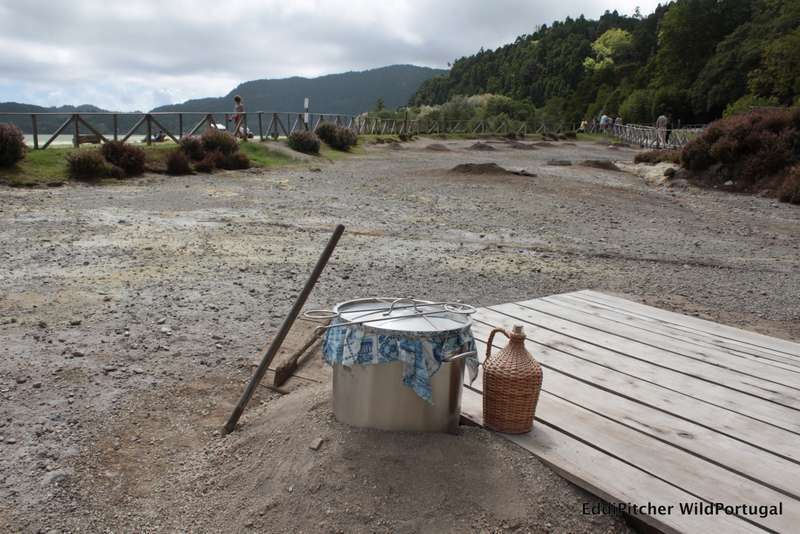 On São Miguel island, Açores, we felt we were in the bubbling heart of nature’s kitchen. 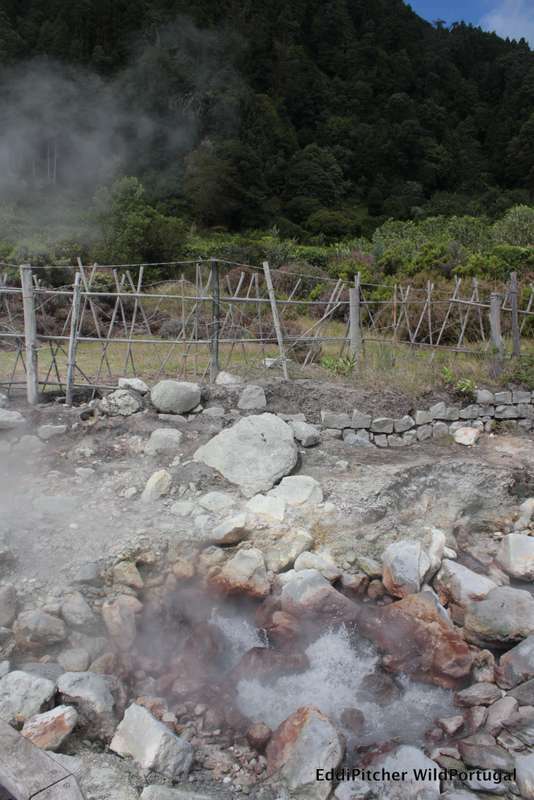 Cozido stew is lowered into volcanic vents and slow-cooked for 8 hours. The stew had a slight sulphuric bite to it, delicious. Essentially, this has been a marvellous adventure. It is also more than that, I hope the book inspires alternative tourism, which celebrates our natural wild places and rejoices in them. I hope it will inspire travellers to value our shared European heritage and understand the wild as a part of that. And I hope it inspires many more wild adventures.